Justin got sick last night, kept us up half the night with his coughing, and complained of achiness, fever, and chills. Then Eisley got a fever in the night. We controlled it with some baby Tylenol, but this morning when she woke it was high again - 102.6 under the arm. So I called the doctor, who wanted to see her. Then I called Justin, I was afraid they had the flu (thanks to my internet research) and wanted him to come to the doctor with us to help diagnose Eisley and to see if he did indeed have the flu. "I don't want to go to the doctor, honey!" Justin said. "But I think you should! I think you have the flu and since you and Eisley probably have the same thing, it might help diagnose her." I argued. It took a couple more nagging calls and texts to get him to agree. He asked his boss to leave work and met me at the doctor's office. First, Eisley was seen - not by our usual doctor but a partner of hers, and we've always liked him. Since Eisley was still eating and peeing well he wasn't too concerned after looking her over. He said his guess was some virus that was giving her a fever and fatigue. "So you don't think it's the flu?" I asked. "No, she doesn't seem sick enough to have the flu." And he offered to give us antibiotics in case of an ear infection but gave his opinion that it was probably just a little virus. "Oh he doesn't have the flu. He'd be looking a lot worse if he had the flu." The doctor said. Still, I wasn't convinced. See, I've always said, "Justin has the immune system of a god!" Because the guy never gets sick. And when he does, it hits everyone around him ten times worse. Justin tested positive for influenza A. Great. "I knew it!" I said. So, obviously, next he wanted to test Eisley. Eisley tested positive for influenza A. Then the doctor looked at me and asked how I was feeling. "Fine, so far. But now I'm nervous..." I said. "I've never had the flu before and I don't want it." And so now Justin and I are both on Tamiflu (at $5 a pill - sheesh!). For Justin, to help shorten the life of his influenza and make the symptoms less severe. For me, to help prevent it altogether or at least make it not hit me hard if I do already have it. Unfortunately, Eisley is too small to take anything for it other than your everyday pain killers to lower her fever. We're going to have to watch her very closely to make sure she doesn't develop pneumonia, which can be very dangerous. Prayers are requested. Thankfully, the doctor was impressed with how well the two of them are handling the flu and thinks Eisley should get over it just fine. I hope so. As I write this Justin is in bed upstairs. Eisley is asleep in her pack 'n' play nearby me and I'm monitoring her closely. I'm starting to feel a bit achy, but who knows. I've never had the flu before, but here my 6 month old and my husband now have it. Yay. And we thought the cold we all had last week were un-fun. Oh, and can I just take a quick second to boast about how awesome we females are for our killer intuitions? Welcome to Last Day Ago! 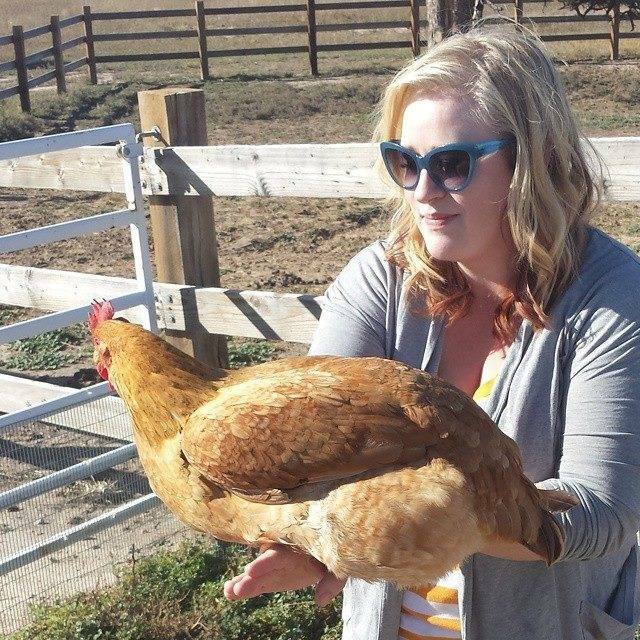 Here I am holding a chicken. I do that often. 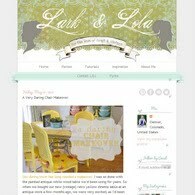 Looking for my craft & vintage blog? Now, see here! Heather Erickson © 2017. Powered by Blogger. Happy 3rd Birthday, Miss Pie!!! Violet's 2nd Birthday - A Dumbo Party! Eis scream, you scream! ~ Eisley's 4th birthday party! Our little tiger's 5th birthday party! Your Last Chance to See the Best Christmas Display in Denver!